Try the difference. Save 30% with Starter Bundle. Only $39! Products should leave a positive mark. We imagine a world where all products are designed and manufactured responsibly. Where all products are created with the end use in mind. A world that follows the principles of Cradle to Cradle, the world leader in ecologically intelligent design. Cradle to Cradle goes beyond troubleshooting how to minimize waste, or how to prolong a product that will ultimately become waste, and instead encourages us to rethink the conditions that shape our designs in the first place. Cradle to Cradle utilizes design as a tool to shape a healthier world economically, ecologically and socially. We can in fact build a better world, a world of abundance, not scarcity. Rather than focusing on having a smaller footprint, Cradle to Cradle directs innovation toward a positive footprint. And it starts at the design level. Make "healthy, safe, efficient and quality products that are designed with future impact in mind." We're proud that gDiapers Disposable Inserts are the only baby product to be Cradle to Cradle Certified (cm) Silver. That means that everything that goes into our Disposable Inserts has been reviewed for 19 human and environmental health criteria and have proven to be re-absorbed back into the eco-system in a neutral or beneficial way when composted (wet ones only). Read on to see how our inserts made the grade. Material Health: Knowing the chemical ingredients of every material in a product, and optimizing towards safer materials. Material Reutilization: Designing products made with materials that come from and can safely return to nature or industry. Renewable Energy & Carbon Management: Envisioning a future in which all manufacturing is powered by 100% clean renewable energy. Water Stewardship: Manage clean water as a precious resource and an essential human right. 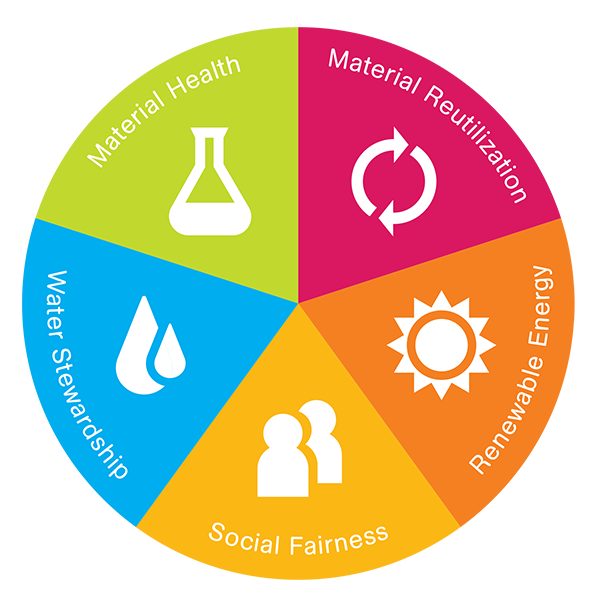 Social Fairness: Design operations to honor all people and natural systems affected by the creation, use, disposal or reuse of a product. For a deeper look at each area of assessment, visit the Cradle to Cradle Product Certification guide. You can compost your wet Disposable Inserts, turning them into a nutrient-rich compost your garden will adore. They’re made of cellulose, fluff pulp and super absorber, which alone would be a valuable contribution to your compost, but when combined with the added nitrogen from your baby’s urine, makes an incredibly rich soil amendment safe for all manner of plants and vegetables. And because our Disposable Inserts are Cradle to Cradle Certified (cm) Silver, you can trust that all their ingredients will return safely to the soil. It’s the Cradle to Cradle way. For more information on how to get started, check out our composting guide. Standard terms and conditions apply. Additional terms include: offer available to first time customers only. Only one bundle per customer. Offer only valid to US customers. Welcome to the gDiapers website. You may also select a region below to visit one of our International sites and shop featured online stores in those countries. It's the most wonderful time to start up or stock up! Sign up for joy-filled news, including sales and new arrivals. Because changing diapers can change our world. gHQ will be closed 3/27-3/31. All regular orders placed during those dates will be shipped out on 4/02 (Autoship orders will still ship on time). With the gNappies autoship program, you get our disposable inserts delivered to your door in the quantity you want, at the frequency you want, saving 10% every time. here's how to set up autoship. Select the button next to 'Autoship' and choose your frequency.